On Day 3, our prize is one of three Wileyfox Storm smartphones! Armed with Sony cameras, an LG display and a Qualcomm Snapdragon processor, Storm promises high performance coupled with the feature-packed Android-based Cyanogen OS. The competition winner will be picked at random from all eligible entries that arrive by midnight of the closing date, December 16, 2015. The winners will be notified via email by December 23, 2015. The winner must claim their prize within 7 days of the promoter sending notification. If the prize is unclaimed after this time, HEXUS reserves the right to offer the unclaimed prize to a substitute winner selected in accordance with these rules. 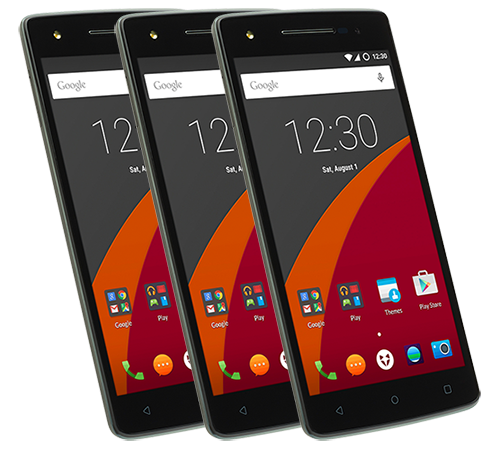 The prize is one of three Wileyfox Storm smartphones. Keep getting a server error when I click ENTER! Yep, server error. I'll have to remember to enter tomorrow I guess. Edit: Same applies to facebook entry. I noticed that the error opens the Hexus website inside a smaller frame. I was bored so I wondered, if I could nest another one inside it… Turns out I could, so I've done it five times: http://imgur.com/GYxlQMA .